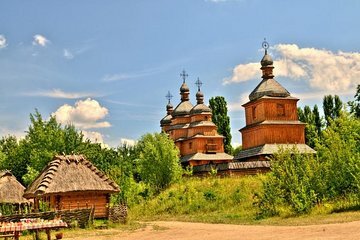 Immerse yourself in Ukrainian history at Cossack Village of Mamajeva Sloboda. After pickup from Kiev, follow your private guide to discover the old way of life at the open-air museum. With transportation and entry fees included, you’re free relax and enjoy your experience. You’ll also enjoy free time to explore the museum at your own pace and take as many photos as you want. Our guide frendly and full of interesting information. The tour was a great combination of walking and sightseeing by car. We wondered how this tour would be because the tour contacts weren't very good at getting back to us on the details but we were pleasantly surprised once the tour took place. We had a fantastic time on the half-day Cossack Village Tour! Highly recommend this! It was in the heart of Kiev and we could see large sky-rise buildings in the distance but we were still taken back to the mid 17th century. I have been to Ukraine many times and taken several tours - this was one of the best! 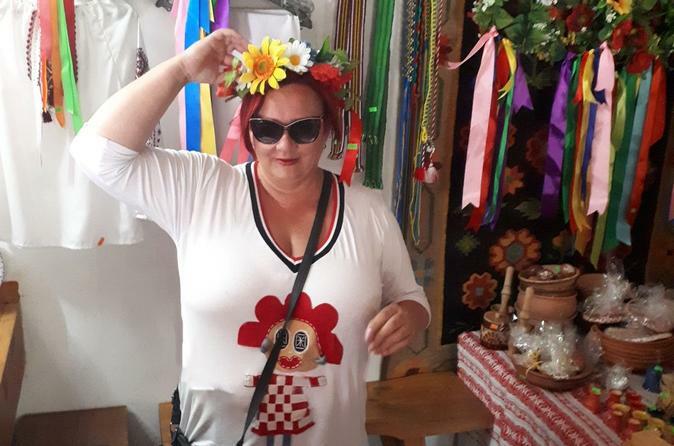 Everyone was dressed in the traditional Ukrainian clothing which really made the tour realistic. Really took us back in time. And, the lunch was just great.